Budgeting is the tool where we can prioritize spending and manage business income. Budgeting will help business owners to identify unnecessary expenses and decrease your stress level because you will not get any surprises. This is the way you manage your business inflows and outflows. Recording an agreement, communication or movement between a buyer and seller for a change in the status of the finances of two or more businesses or individuals involves basic bookkeeping. It is a legal requirement by law to keep a record of financial transactions for a period of 5 years. A period of five years starts from when the documents were prepared or when the transaction is completed, whichever occurs later. Development of real estate has always remained the industry works like cyclical industry as most developers have to deal with the cash flow issues. Cash flow management is a significant idea to track down the money, which is present there in your business like how much money is coming and spending in the business. Cash inflows indicate the cash that is spent on the goods and other services or in a way it is paid by the bank. Cash outflows indicate the cash, which is going out of business like utility bills and costing of goods sold. Payroll involves the company’s recordings of the staff’s compensation like salaries, commissions, bonuses which they earned by its employees. 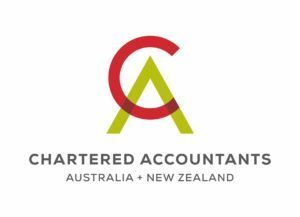 As payroll plays vital role in the business, so tax accountants in Melbourne serves the purpose by making sure employees get entire financial entitlement that business get them on time. The complicated process of payroll includes lots of legislation, withholding and Australian Tax Office but with experts this time consuming work can be done accurately. So, it creates a happy environment to work for. The work of every organization is based on the Key performance indicators and we help you report on a timely basis so that you will never lose a track of over-sighting the business. This certainty helps you to achieve organizational goals and our customer satisfaction level. We go through your KPIs on our free consultancy meeting. Having any business of any of the sizes have to deal with accounting and when you are new to it, then it his might be a little tough to deal with the same. When you are not having an account receivable process, then possibly you might lose your valuable revenue. If there is no solution or anyone to handle the accounts, then quite possibly you have to make a deal with the late payments or other financial issues like fraud. Using a bank reconciliation statement, one can differentiate between two specific dates between the bank balance as per the company’s bank statement. This bank statement can be supplied with bank and created after analysing the corresponding amount present there in the accounting records of the organization. We use the cloud as we intend to keep your data safe and we take it seriously.